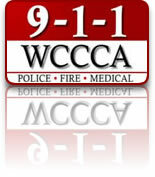 WCCCA places a high value on customer service. One tool we use to evaluate how well we are providing service to our citizens is to send out customer service surveys to our 9-1-1 and non-emergency callers on a monthly basis. This allows us to measure how successful we are in our commitment to providing timely, efficient and compassionate communication services to all citizens through innovation and employee excellence. If a survey is returned letting us know we could have done better, we review that incident to determine what happened. Sometimes there may be a misunderstanding on the caller’s part and we will contact them to discuss their call. If we missed the mark, we review the call with the Call-taker and work together on how we can do a better job. We are proud of the quality of service that we provide to our citizens, user agencies and other partner agencies. The following web pages will show you the responses that we have received to our customer service surveys. The feedback and comments are unfiltered and post directly to our website as we receive them. However, comments regarding the service of our police and fire partner agencies will be excluded and forwarded directly to them. Click here to view the customer survey results.